The policy of responding to assassinations on British soil is a near non-existent one. Her Majesty’s Government is certainly in the habit of huffing, and steam can issue from deliberations in the House of Commons. But substance is often absent. When Buzzfeed conducted an investigation into the mortuary of incidents in 2017, it found a degree of indifference on the part of British authorities. 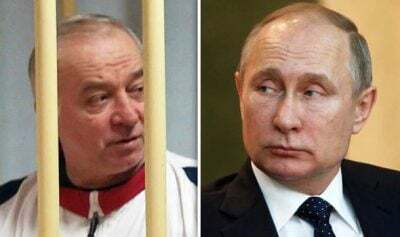 Trumpeting findings that fourteen individuals had “been assassinated on British soil by Russia’s security services or mafia groups, two forces that sometimes work in tandem”, the reporters honed in on British sluggishness. While the Russian bear was busy, Britannia was asleep. The attempted poisoning of Sergei Skripal and his daughter, Yulia by a nerve agent is coloured by such a backdrop. With each day, Downing Street has had to seem to be doing something in linking the attempted killings with identifiable culprits. Britain is at a low ebb, barely finding its place at the Brexit negotiation table with the European Union. Weakness and questionable competence is all around. While this has happened, President Vladimir Putin has been re-elected. Russia is revitalised. The Kremlin comes with conveniently heavy baggage of blame. A perfect situation, then, to point a distracting finger of accusation, making Britain the first state to accuse another of attacking it with a chemical weapon since the Chemical Weapons Convention came into force in 1997. The second point is track record and experience. Where intelligence matters are politicised, links will be forged and tenuous ties made. The Russian factor, goes the British line, is unmistakable and unimpeachable. This, despite certification by the OPCW that Russia destroyed its entire stockpile of chemical weapons pursuant to the CWC. Or that its source of production – the Nukus plant in Uzbekistan – was dismantled and decontaminated with the assistance of the United States in accordance with the Pentagon’s Cooperative Threat Reduction program in 1999. Brows might well crease with suspicion at that very fact. Then comes the ease with which Novichok agents can be made. According to military chemist Vil Mirzayanov, the man who first revealed the existence of the chemical family, making such compounds using commercial ingredients is hardly a herculean task. This very fact flies in the face of the British claim of Russian exclusivity. The second point – the poisoning of traitors, defectors or the like – only makes sense if Skripal had turned a newly rotten leaf. Political opponents, dissidents and journalists constitute ongoing threats; a double agent living out his days away from the service in Salisbury – if it can be assumed he ever left it – hardly cuts the mustard. It would, for one thing, make the largest post-Cold War spy exchange moot. Yet here was a statement of blatant, open incrimination, delivered with distinctly odd timing. Even major papers are pondering the sense of targeting Skripal. Links to private intelligence firms such as Christopher Steele’s Orbis, the entity behind the Trump-Russia dossier, are also discounted. Hardly a ringing endorsement for murder. Putin, however, remains irresistible as the accused. He furnishes Johnson with historical elevation and purpose. On this occasion, domestic politics, as it often does, is driving the international response. Diplomats have been expelled from both states. Harsh words are being traded. Strikingly, Britain, in defiance of the spirit behind the CWC, has refused to surrender any of the Novichok samples to Russian investigators. The dense incongruity of it all might, in time, only be illuminated by Skripal himself. Double agents, let alone ones dedicated to one side, never quite abandon their briefs.